The use of technology in modern life is evolving at an ever-increasing pace, and South Africa is catching up. Late last year, Google’s 2017 Connected Consumer Study revealed that 60 percent of South Africans now use a smartphone. In 2014, this number was just 47 percent. Time is our most precious resource. Users clearly want to get the most out of their interaction with technology – streamlining tasks wherever possible, saving time, and making the most of each moment. I speak to customers who use apps like Waze to check the traffic up ahead on their chosen route, or who add items to an online groceries app rather than write them down or try and remember them later. Capturing ideas in the moment is a great example of how people are using technology to get more done in shorter time frames. PCs that are always on and ready to go with easy access to digital assistants and stronger collaboration solutions are going to change the way we streamline our tasks at hand. The dominant device today is the smartphone, often with a laptop and/or a tablet to go with it. So, we know with confidence that people are increasingly looking for portable technology – lightweight devices that provide the freedom and comfort to move around with ease. It’s interesting to see how and where user trends develop. For example, in China, the social media platform WeChat has huge numbers of users and this led to users there adopting large smartphone screens ahead of the west. What followed globally of course were bigger screens, still with comfort and freedom top of mind. 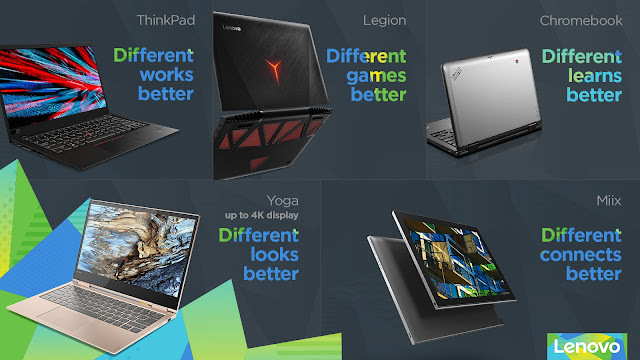 At Lenovo, we’re also looking ahead at bendable and foldable form factors and on-screen experiences to help people to do more of the things they want in new and more comfortable ways. Lastly, our research tells us people are looking for better quality and more enjoyable (and therefore more meaningful) connections via technology between friends, family, colleagues, customers, and partners. This is truly universal and something our business is focused on with our product development. Lenovo asks – how can we make your device experience more immediate when it comes to, for example, staying in close touch with friends and family overseas? And how do you drive a better human, collaborative experience overall in the office so that remote meetings that start on time and are not plagued by technical difficulties? We see a big opportunity at the intersection of personal and communal computing, creating better shared experiences to help families and friends stay closer, and to help distributed business teams collaborate more effectively.